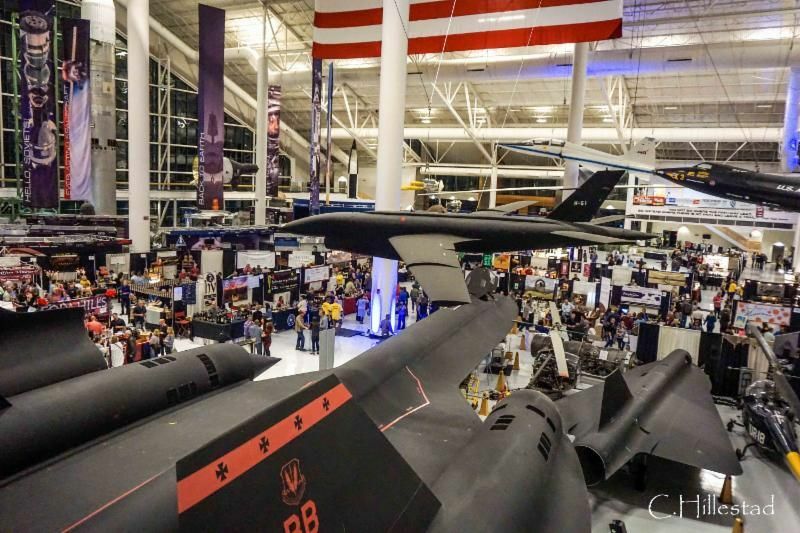 McMinnville, OR, January 16, 2018: The much-beloved SIP McMinnville Wine & Food Classic invades the Evergreen Aviation & Space Museum March 9-11, 2018, for a sterling 25th anniversary event. This festival brings together small independent producers of Oregon wine, beer, liquor, food, and art for three days of tasting, toasting, and raising funds for St. James School in McMinnville, founded in 1906. SIP began in 1993 (pre-internet, and pre-cell phone!) as a small school fundraiser, but has grown into one of the largest and most beloved food & wine festivals in Oregon. Today, it attracts thousands of attendees from every age group, more than half of which have made SIP an annual tradition. "Everything about the event is centered upon having fun, and the venue is what really sets SIP apart," says this year's event co-chair Jon Johnson. Approximately 170 vendors will set up among the artifacts of the space age - jets, missiles, and displays from outer space missions. The owners and artisans themselves are on hand to pour and chat, making this one of the most personal and convenient ways to discover Oregon's delicious bounty. For those who wish to purchase, a streamlined system lets guests enjoy the event to the fullest, without having to carry around their treasures. Orders are made available for pick up at a valet counter including assistance on transportation to your vehicle. 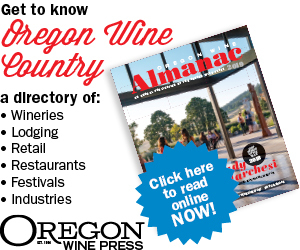 More than 25 food vendors, 18 artisans, 6 distilleries, and 70 wineries from all over Oregon plan to participate in this year's 25th anniversary event. "From conception, vendors have been chosen through a jury procedure to assure high quality balanced offerings for the three day event," says Steve & Mary Allen co-founders of the event. Among 2018's winery partners are Abacela, Naked Wines, Willamette Valley Vineyards, Namaste Vineyards, Methven Family Vineyards & Winery, Yamhill Valley Vineyards, Lenné Estate, Patton Valley Vineyard, Siltstone Wines, and Melrose Vineyards. Local beer, cider, and distilled liquors will also be on hand. Guests can enjoy their beverages with fresh oysters, crab and shrimp melts, barbecue, German grilled specialties, authentic tamales, and more. Local craftsmen will display jewelry, art, and furniture, and local musicians will perform live all three days. In addition to the incredible setting and artisanal experience, this event provides essential funding for McMinnville's venerable St. James Catholic school. Last year, the event raised approximately 12% of the school's operating budget, or $1000 per student. Father Mike Walker, St. James's Pastor, says: "Thanks to so many good and generous people, the SIP McMinnville Wine and Food Classic does so much to support St. James School, while at the same time giving the Small Independent Producers the opportunity to share their craft with the region. We very much rely on and appreciate the support from this great event!" SIP's founder, Steve Bernards, says: "It's incredible that what started 25 years ago as a small volunteer effort to help the local school has turned into a wine-lover's bucket list destination that supports not just the school, but the entire community in a big way." Special early bird pricing on tickets is available until January 31, 2018. Beginning February 1, day pass tickets are $20 for adults, $17 for seniors and designated drivers; after entry, patrons pay for each tasting or food item on an individual basis. VIP Parking, free parking, and Portland and McMinnville shuttle service will be available. For more info and to order tickets online, go to www.sipclassic.org. Nicknamed SIP, this weekend food & wine festival is a dedicated fundraiser for McMinnville's St. James Catholic School that has raised hundreds of thousands of dollars for programs benefiting the school's children. Organized and staffed entirely by volunteers, the Classic is one of the largest community events of the year in McMinnville, and one of the largest and most beloved indoor food and wine festivals in Oregon. For more information on the event including Places to Stay, visit www.sipclassic.org.